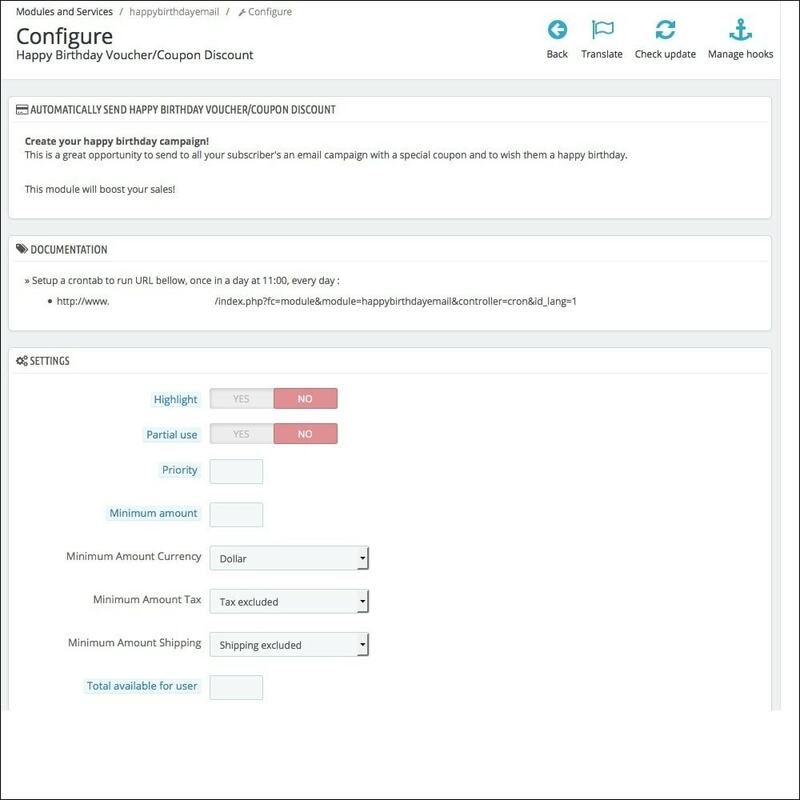 This module allows automatically send emails to wish happy birthday to your customers and to send a discount code by email. 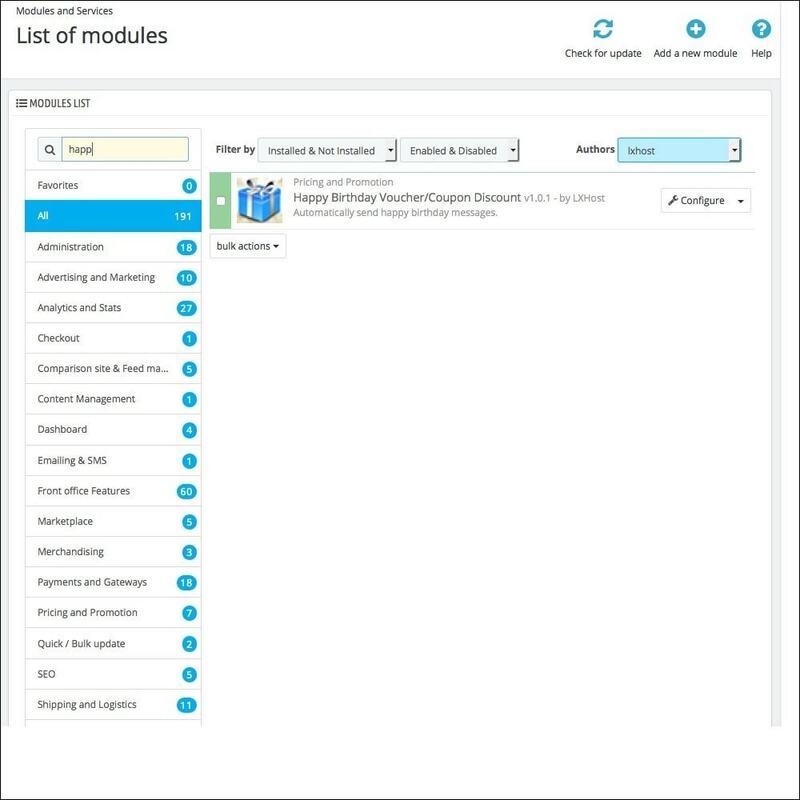 This module send a customizable email with voucher code. Email template in multiple languages. No additional tables in prestashop database. 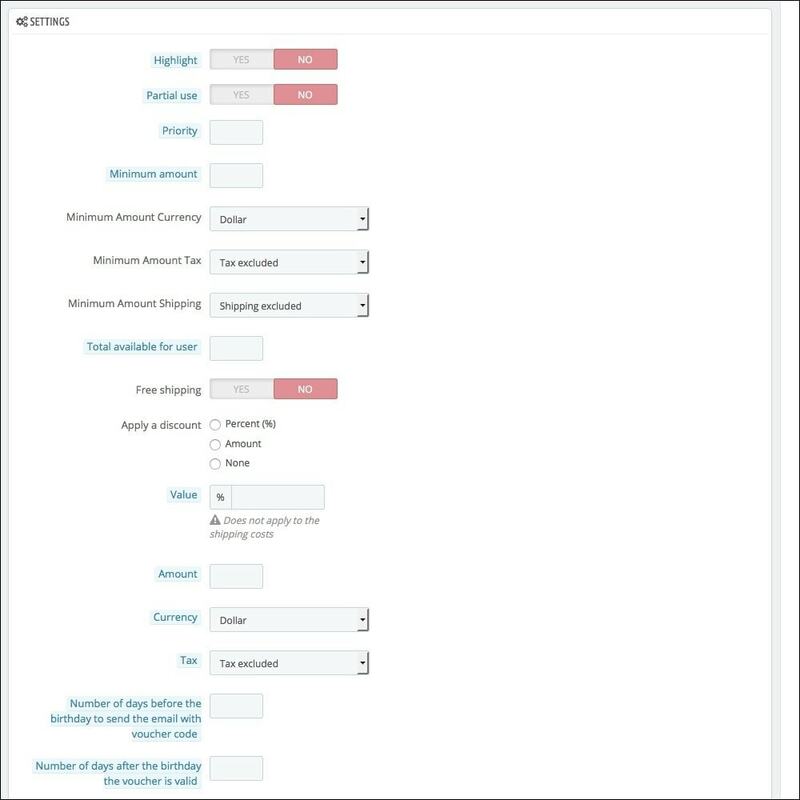 No additional fields in signup form. Automation of sending e-mails and discount coupon code is done using cron job. Each coupon is generated at for specific customer. This module require cron setup. Customers will be pleasantly surprised on their birthday. To set SMTP parameters (for advanced users ONLY). Regular installation. You need to configure the module by adding a cart rule details and setup crontab. This module allows you to accept Bitcoin payments from your customers using blockchain.info's Receive Payments API V2. Increase your conversion rate by motivating customers to recover their abandoned carts. Send mass cart reminders, easily customize email templates and generate coupons to encourage visitors come back to your store. This module requires users to verify their email address before they will be able to create an account. A customizable email is sent with a link for the customer to click on to confirm their email address.